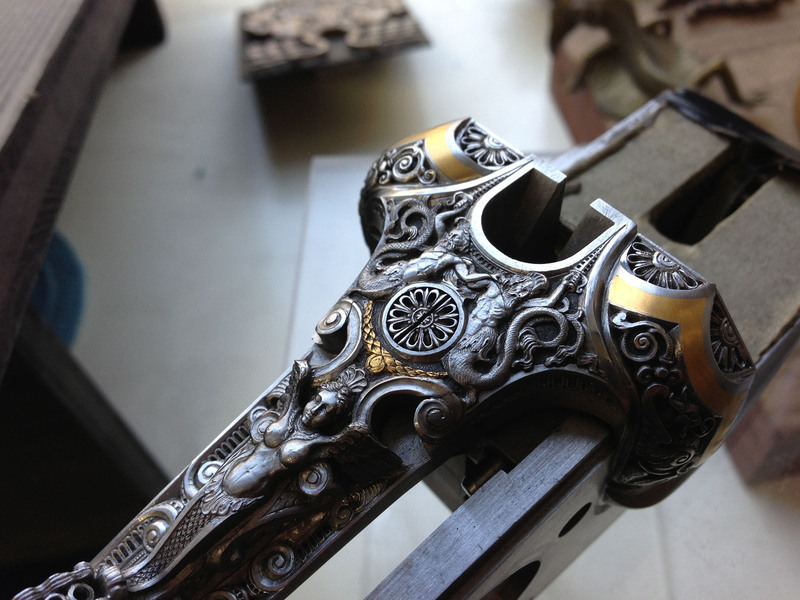 The engraving – an ancient and exquisite art, highlight of aesthetic perception and class. 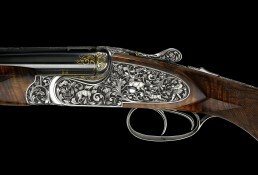 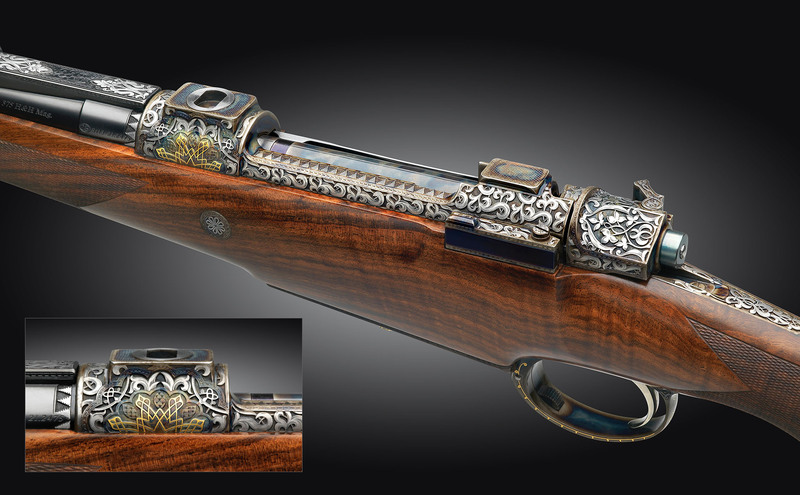 We master the full range of techniques and styles, from classy, understated scroll ornament to magnificent relief engravings, to the finest Boulino (burin), that give each hunting weapon its unmistakable uniqueness. 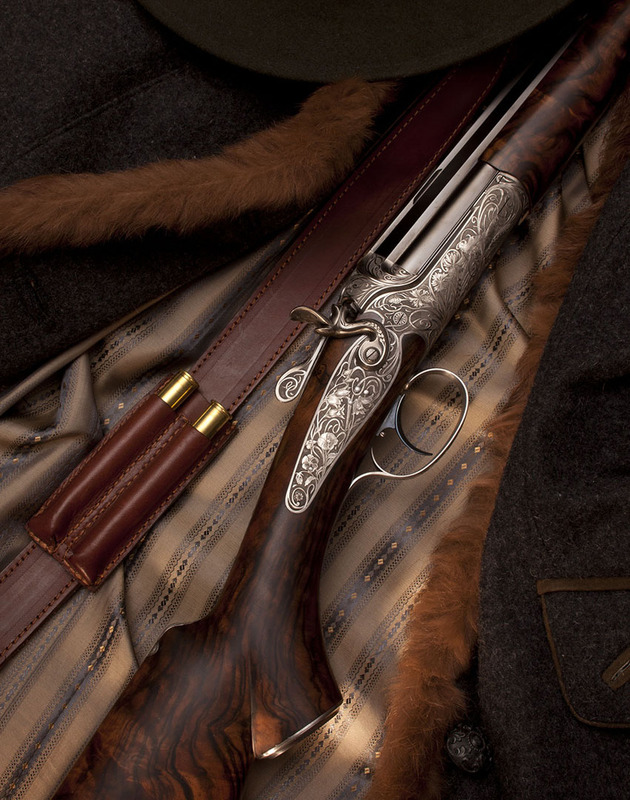 We always encourage our clients to join in the process with their personal ideas, to become a protagonist in the process of building their personal fine guns. 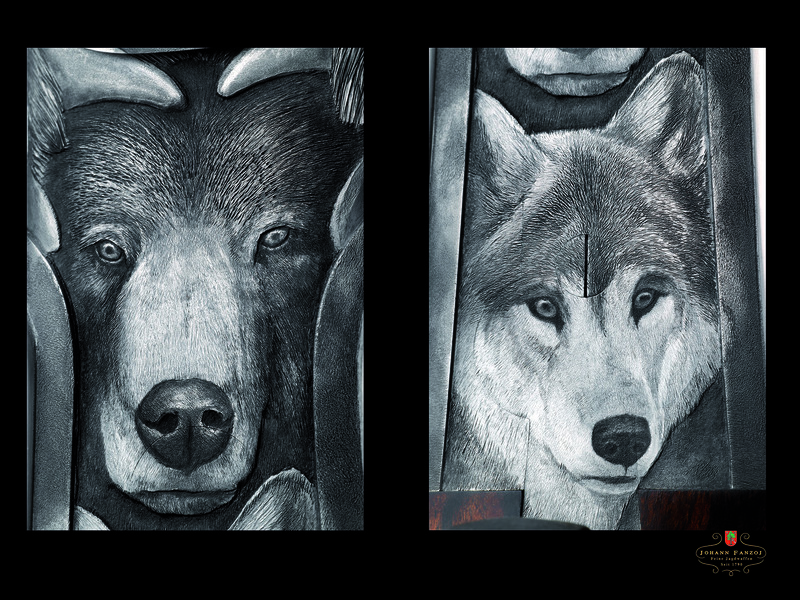 Some of our projects take years to execute, beginning with extensive research about a particular idea on to countless sketches and brainstorming sessions. 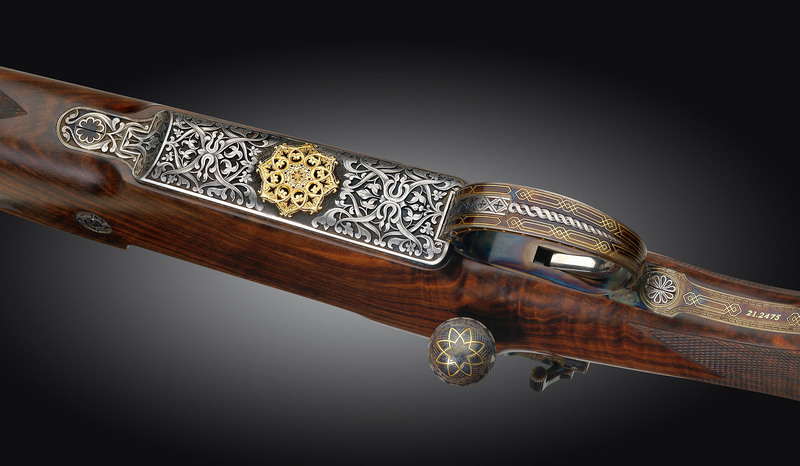 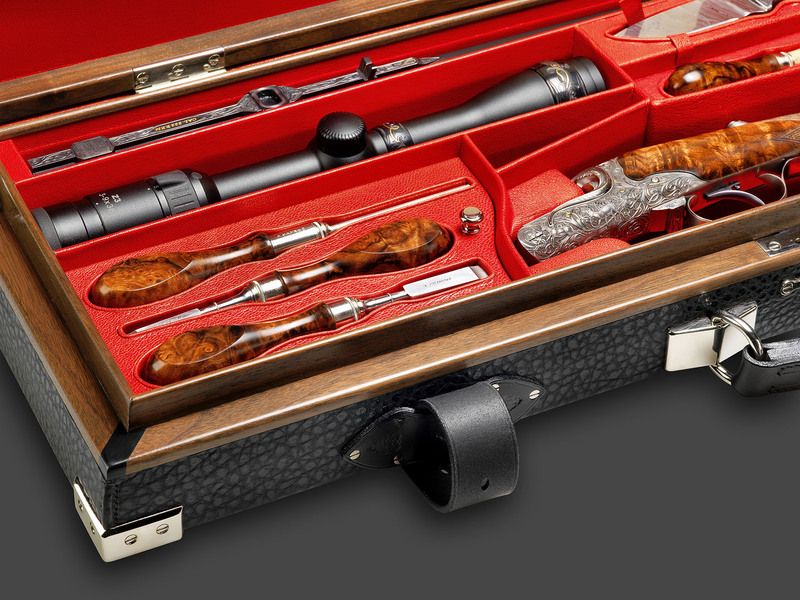 A step-by-step process of total creativity, down to the final result: a one of a kind, one piece only gun or rifle for the most discerning customer. 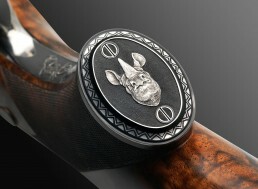 All our engravings are executed by hand, without exceptions, by top-of-the-line master engravers. 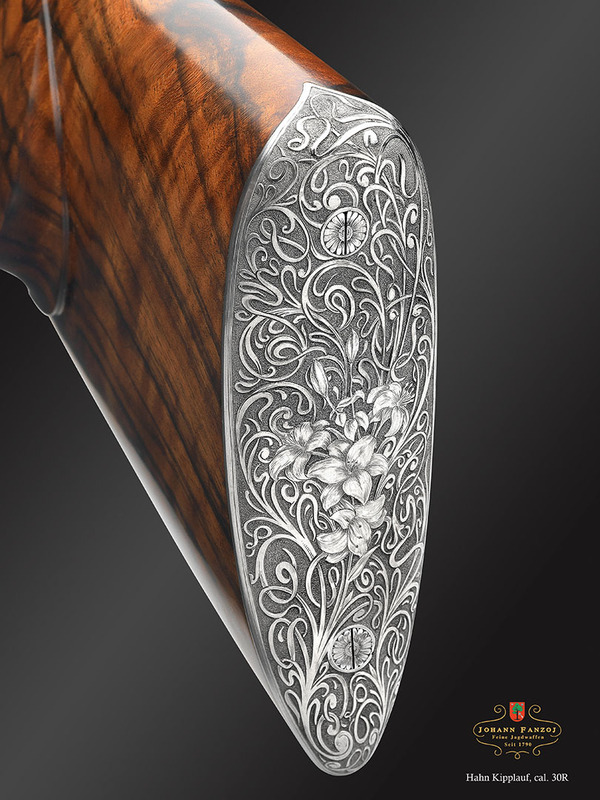 The human element inherent in a hand-cut is as unique a feature as the distinctive lines left from the bristles of Michaelangelo´s brush. 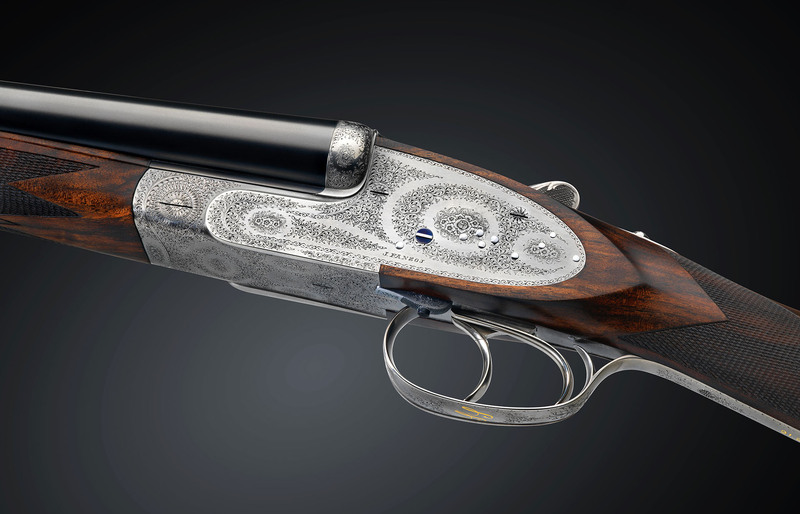 We are privileged to work with and commission some of the finest Master engravers in the world, some of them exclusively.